The selection of modified woods continues to grow. Many are modified through either temperature or chemical process to withstand high moisture environments, deliver high dimensional stability and overall durability. Sansin has developed specially formulated products and colors to work in concert with these modified wood types to delivery not only performance, but also exceptional clarity. Accoya® wood is produced using a proprietary patented process which converts sustainably grown softwoods into wood that matches or exceeds the durability, stability and termite resistance of tropical hardwoods. 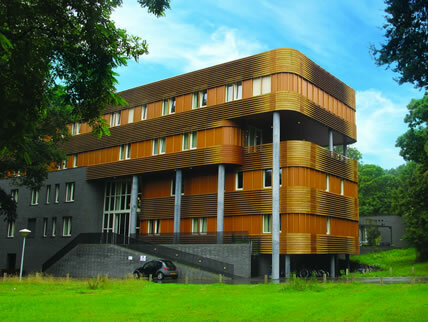 Sansin’s SDF and Ardera products are one of the few wood coatings endorsed for protecting Accoya wood. Our multi-coat systems will help you create just the right look, in tandem with the right level of protection. Thermal modification or heat treatment is a technology that allows for upgrading of lower durability softwood into wood products of constant quality through thermal modification at relatively high temperatures of 230°C-260°C (436°F-536°F). Wood species such as beach, birch, poplar and alder can be modified to become value-added products for use in interior and exterior applications.